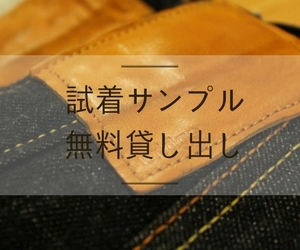 If you order or have any question, please contact me. The following size chart is the number after wash and shrink. 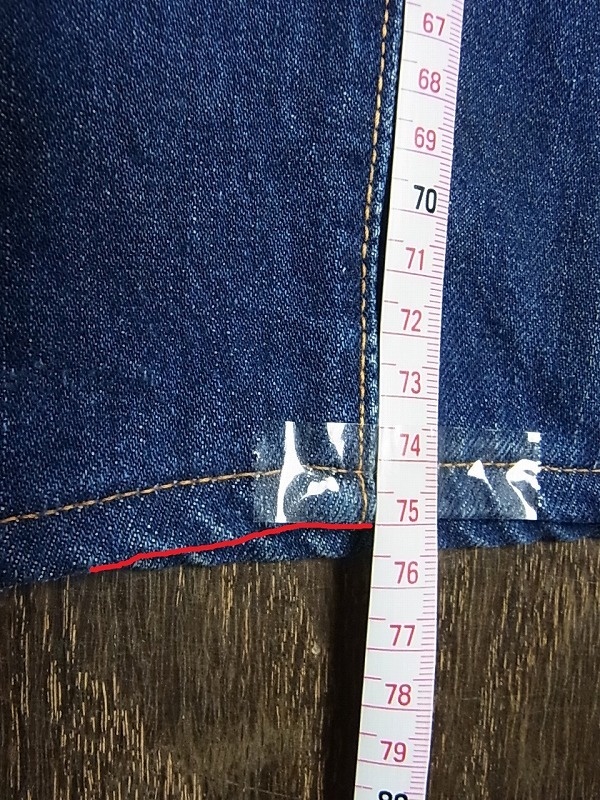 The shrinkage of this fabric is unstable. 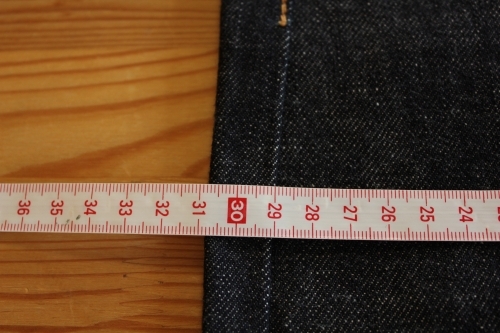 So these numbers are approximate. 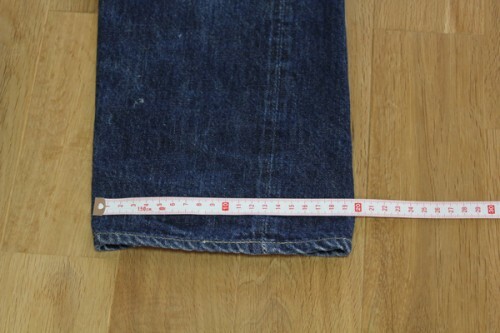 Lay the jeans out flat. 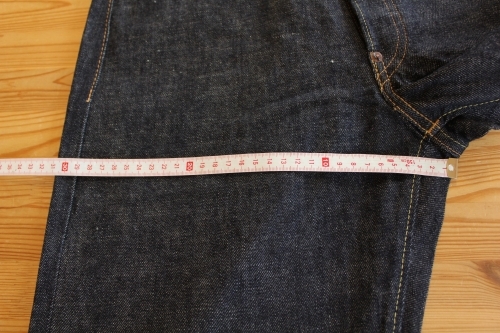 Keep up the belt straight. 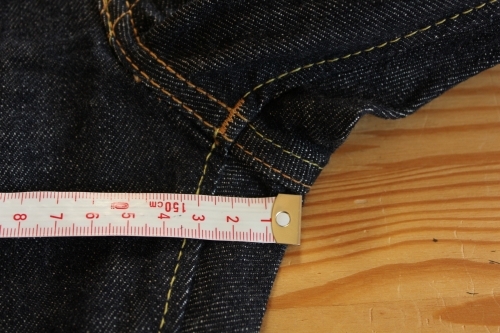 Measure an edge from the edge. 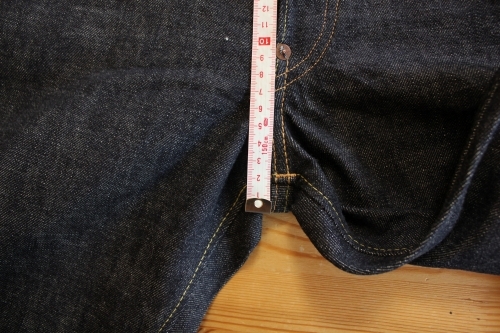 ↓This is a bad example. 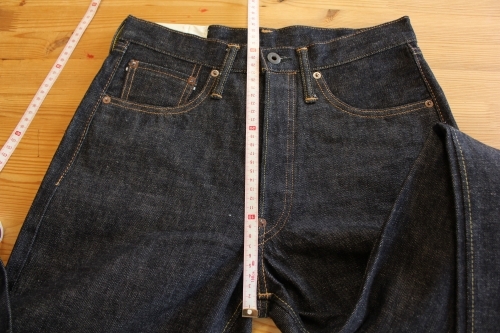 ↓ This is a good example. 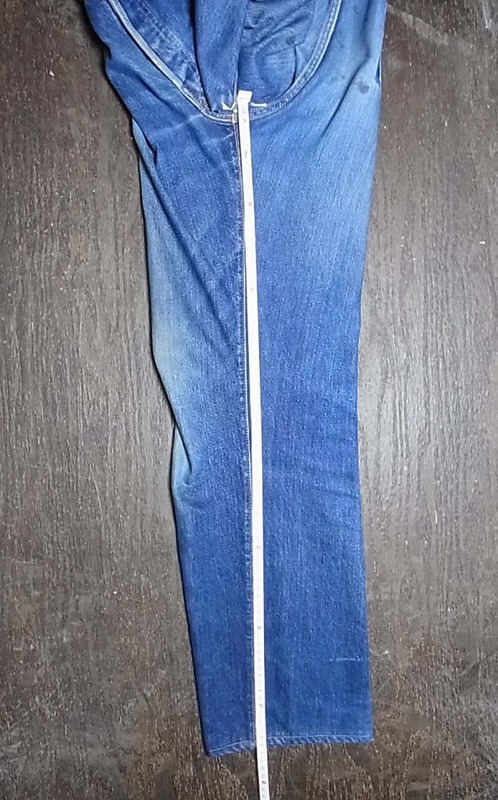 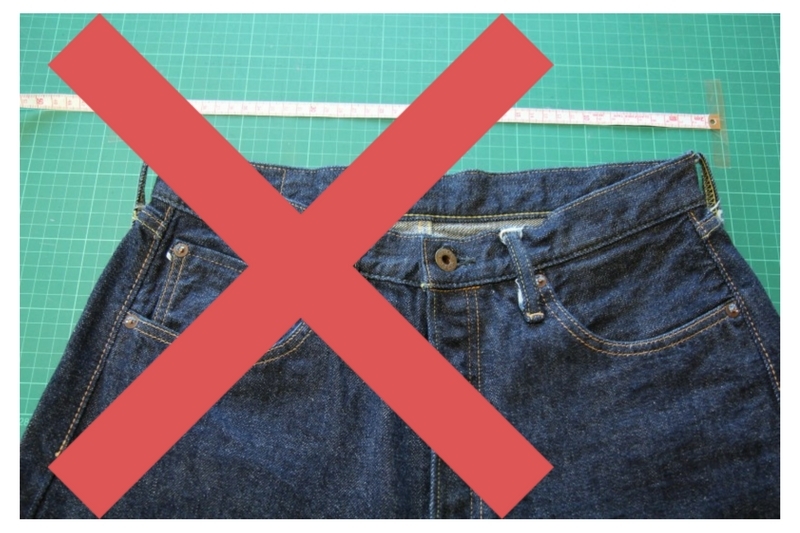 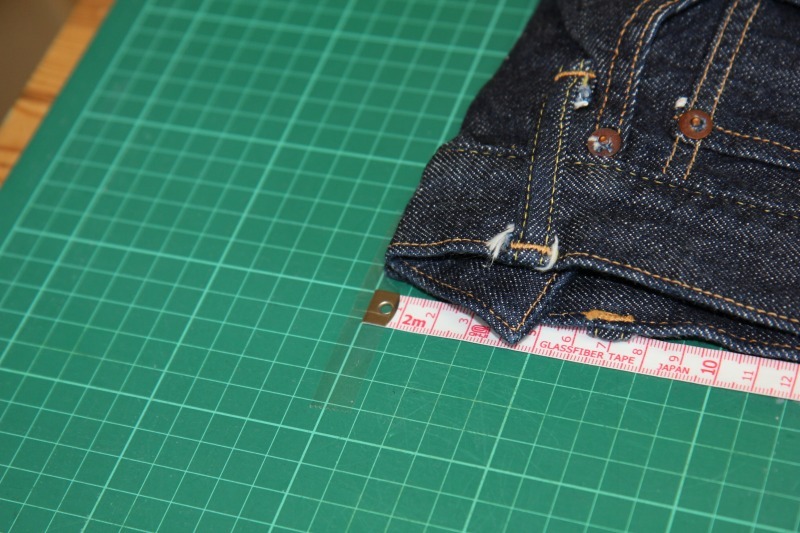 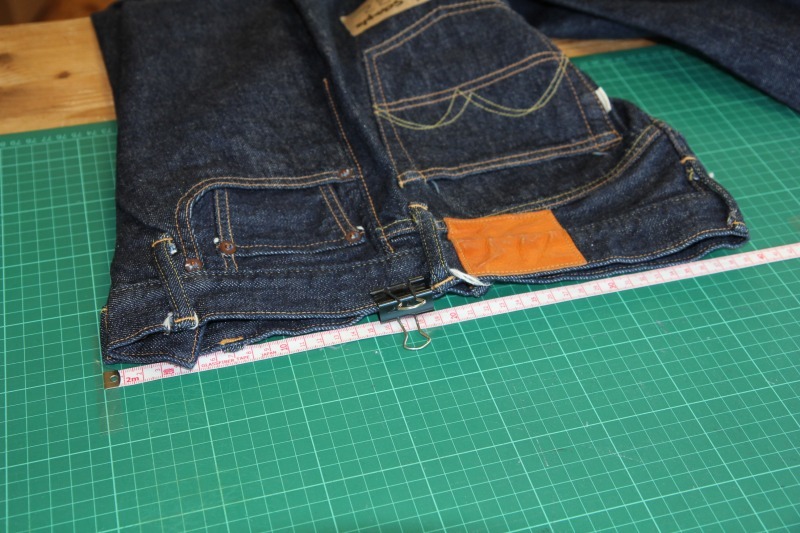 Lay the jeans out with right leg inseam centrally. 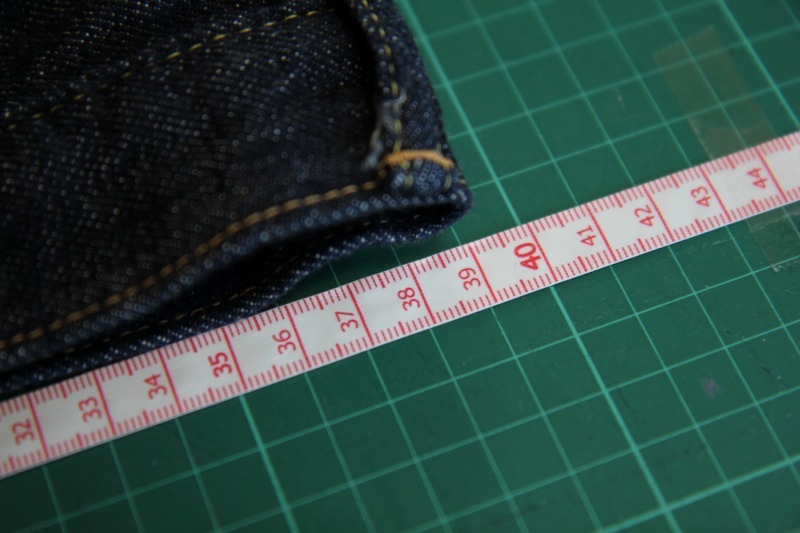 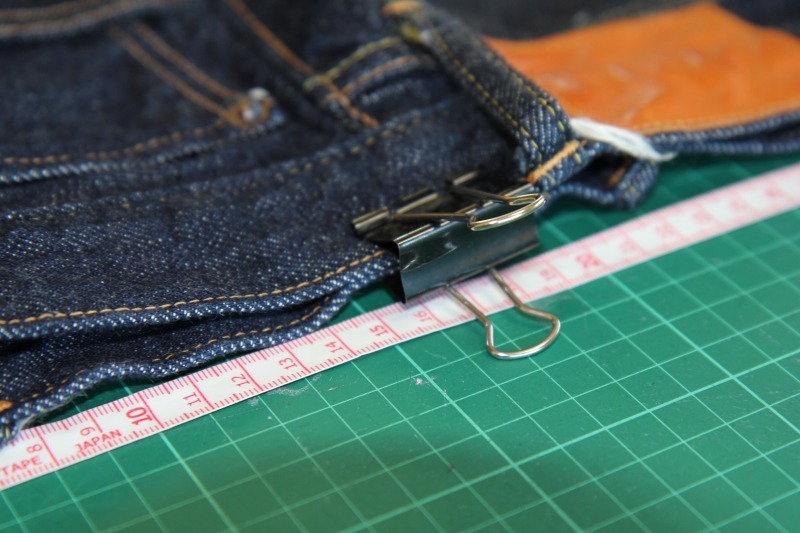 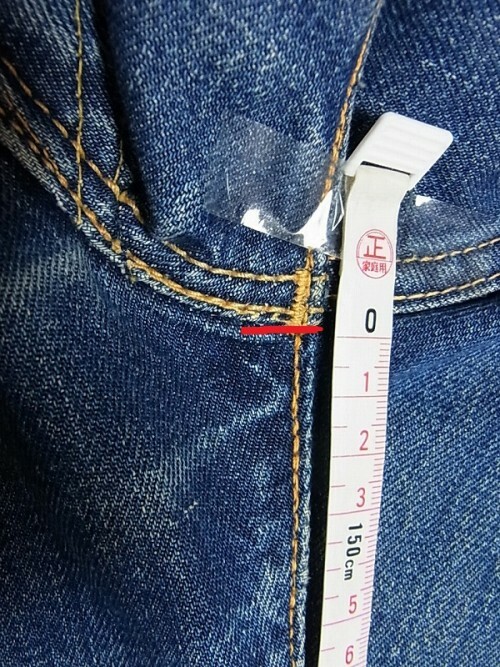 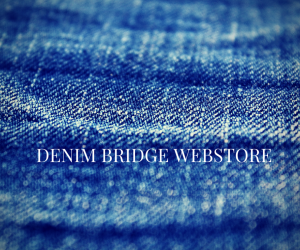 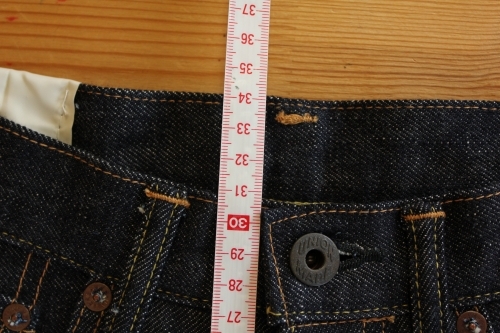 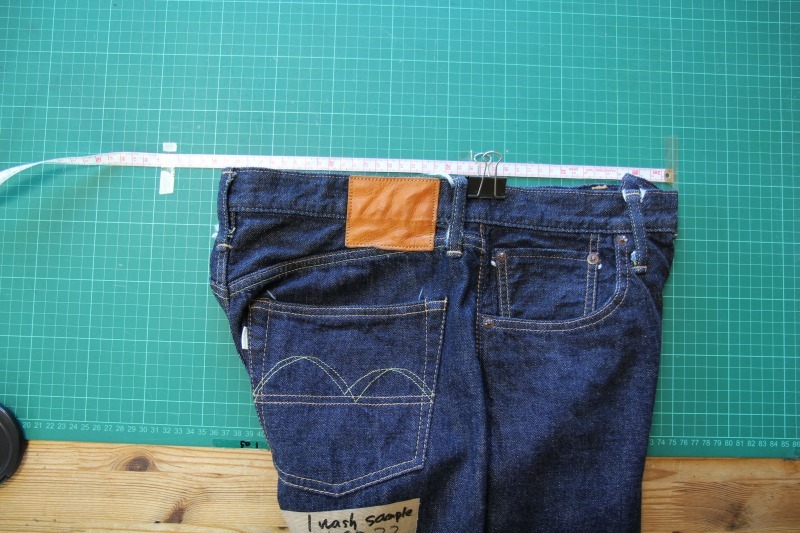 Measure from the crotch seam to hem edge.